This year's Grand Boucle has just reached the mountains, and the fireworks have been spectacular so far. In addition to the attacks, sprint finishes, crashes, and other drama, all eyes have been on this year's crop of bike tech and gear, which has been as impressive as always. Here are the 10 coolest things we've seen so far. Look closely at this year's peloton and you'll see one thing in common across the field—these new Oakley shades, which everyone seems to be choosing. We get why; they're pretty awesome. Developed with Mark Cavendish's help, the Jawbreakers simultaneously throw it back to classic Lemond-era sunshades and to some future/alien dimension. They're bold, they're unapologetic, and we're kinda into that. Up until now, nobody ever used anything besides good ol' fashioned tubular tires—except the clinchers Tony Martin briefly tried during time trials. But this year, Schwalbe's One has actually seen some use—and demand from the IAM Cycling team. That's a good sign for tubeless lovers who don't want to deal with tubs. We all owe Stages big time for turning the power meter from an unobtainable dream ($1,500+) to a reality for many ($699), and Team Sky's Stages adoption legitimized it. 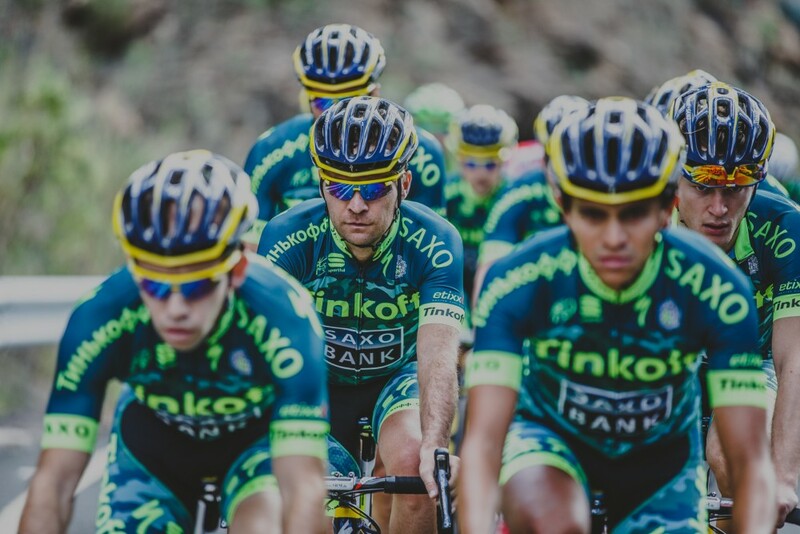 If it's good enough for the most powerful team in the peloton, it's good enough for you. For this year's tour, Stages has a prototype they're testing and although they have no comment, it's probably awesome. Updating the aero bike that pretty much started the trend, Specialized spent a lot of time in the tunnel to perfect this spaceship. It might not be everybody's cup of tea—most people I know don't need those marginal gains—but boy does it look fast. Aero integration in the stem, brakes, and pretty much everywhere else apparently shed some serious seconds in the wind tunnel. This is Peter Sagan's machine. The Cannondale boys are rocking the new 520 at this year's Tour, which one-ups the 510 by shrinking its size, improving its screen, and adding live Strava segments so you can see if you're on the mark. It's the next best thing to riding with a veritable video game ghost, showing you the WR time, and it'll be available to the public soon for $299. Rapha, which almost singlehandedly brought fashion to bike apparel, has added some bad-weather pieces to its lineup. Instead of using a laminated and taped rain jacket, Team Sky will be using Rapha's new Shadow jersey that has DWR (durable water-repellent) applied to the yarn and fabric. Now there's no need to go straight from regular jersey to full rain gear. We wish they had instead chosen their fantastic camo training jerseys, but we'll settle for a dose of camouflage. They're not the prettiest jerseys in the peloton, but this touch earns them a spot on the list. What many consider to be the best looking helmet in the peloton just got an extra dose of safety, thanks to the application of MIPS technology. The Synthe MIPS has a liner under the exoskeleton connected by a low-friction slip-system so the helmet can better absorb rotational impacts. The Tour models usually prioritize speed in equipment choices, but you can definitely go faster without a concussion. Specialized's shoes have been all over the pro peloton's feet the past few years. We understand why—they really know what they're doing. The old S-Works shoe ($360) was one of our favorites (along with the Giro Empire ACC), and the new S-Works 6 ($400) looks like it ups the ante. It's beautiful, it looks fast, and as we saw on Contador's feet in the Ruta del Sol, it is fast. Eschewing hard case bike bags, eight Tour de France teams are choosing Scicon's soft Aero Comfort bags ($450) to bring to the race this year. It's a lot of trust to put into a bag, but their design really does keep the teams' babies safe—and this year they're customized for each team. We have one in house we've been using, and if you're a frequent flyer you should probably snake one too. Ethan Wolff-Mann is the deputy editor and chief bike nerd at Supercompressor. Follow him on Twitter @ewolffmann.